I am not a fan of cold weather (I honestly think I could sip Berliner Weisse at the beach everyday). So my latest brew session I was thinking Springtime for 2 reasons: I needed something dry/crisp on tap to enjoy outside when the weather warms up and I needed to brew something wild or funky to serve during the East Nashville Beer Fest in late March. With approximately 90 days until I needed to serve I didn’t feel like I could turn a good quality funky bacteria beer. So brettanomyces was up to bat. With the news that WLP670 American Farmhouse was now a fulltime offering a Brett Saison was just too perfect. My LHBS just got in a fresh batch of the WLP670 a few days before so I was good to go for part of the batch. OK admittedly I am a yeast klepto. I love stealing “dregs” from bottles of commercial beers. Some have been really active and produced great beers for me (Great ones: Orval, Cantillon and Kellerwies [no bugs in it]) while some have been fair. A friend of mine (Thanks Ryan!) sent me a bottle of The Bruery’s Saison de Lente so I decided to step up the dregs to pitch. This was my first time stepping up dregs from The Bruery, but they seemed to become active again fairly quickly. I did my typical step up: 100ml of .020 wort for 2 days, stepped up to 1000ml of .020 wort, stepped to 2000ml of .035 wort on the stirplate. One carboy got the Bruery stepped up yeasts and one carboy got the WLP670 (no starter). I changed up the recipe some from the last Saison I brewed basically to get a lower starting gravity since I’m on a deadline and to simplify the flavors so the Brett could shine through. This time I pitched the WLP670 and the Bruery Dregs at 62F. The Buery Dregs were the first ones to take off. 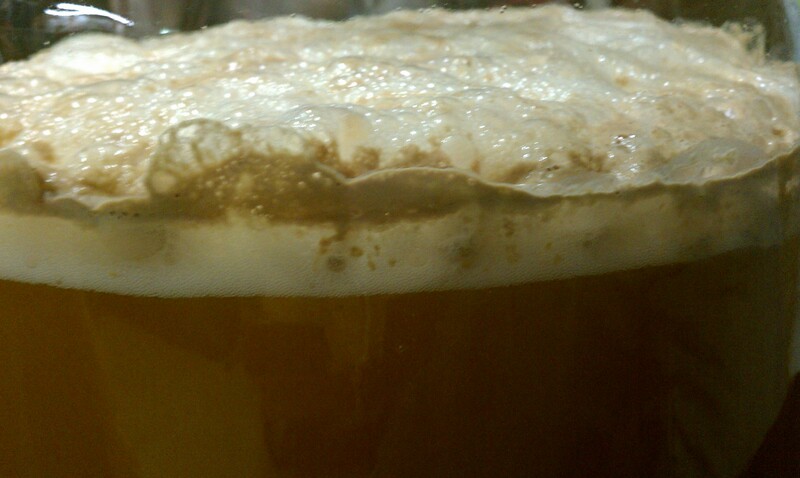 That carboy had a nice tight half inch krausen formed in about 10 hours. The WLP670 was about half that. The below pics were taken approximately 36 hours after pitching with temps up to 65F now. The carboy on the left is WLP670 American Farmhouse. 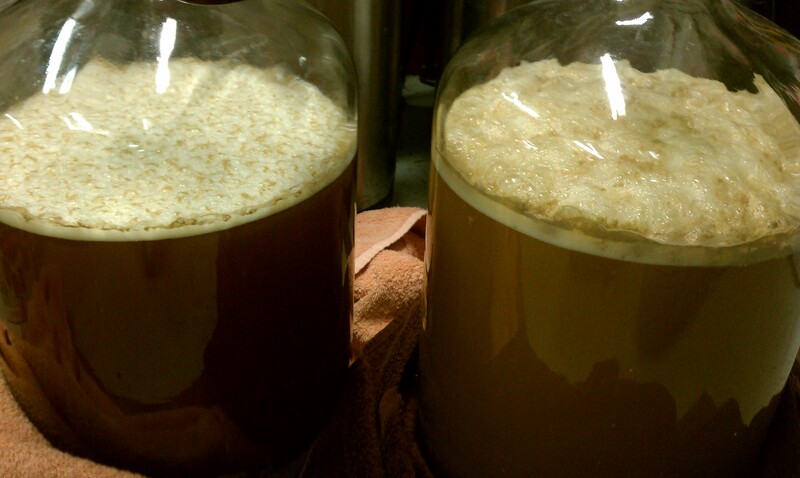 The one on the right is the Bruery Dregs pitched carboy. Notice the different wort/beer colors and the different krausens. I’ll begin warming these up into the upper 70’s in about 36-48 hours. I’ll see what the gravities tell me and if they have reached 40% attenuation yet. I’ll update the progress of these beers sometime in late February or early March. Right now I’m thinking these might end up as a blend for the beer fest, but I’ll make that decision closer to packaging time. It’s the perfect time to brew a Brett Saison for your springtime lawnmower beer. One thing to remember is Saison strains and Saison recipes are designed for high attenuation. Add in the Brett and some could ferment down to 1.000. 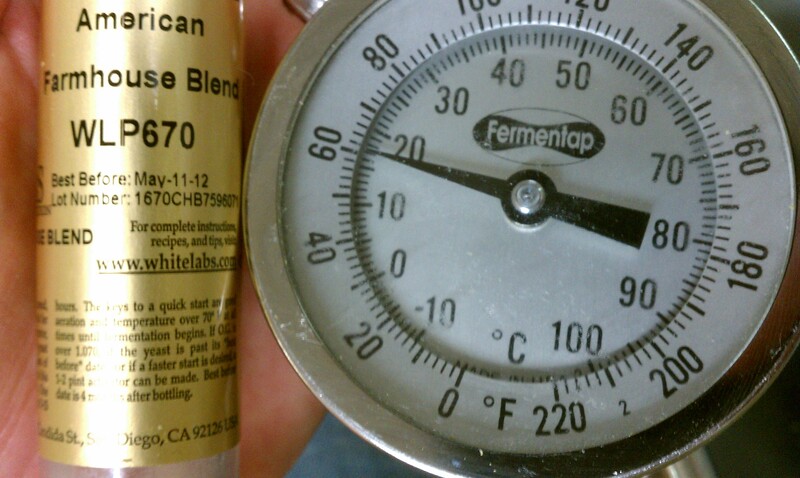 When building your recipe for a Brett Saison it’s not like a grain bill for let’s say an APA. A typical APA recipe with an OG of 1.050 with a normal attenuation of 75% produces a 5% ABV beer. 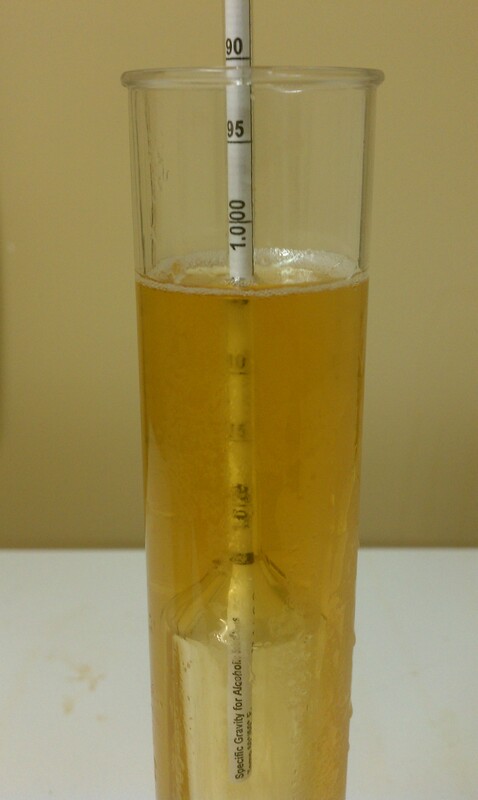 A Saison with an OG of 1.050 with attenuation of 85-90% would produce a beer around 6%. Just remember to take into account the significantly different attenuation and consider lowering the grain bill so you don’t end up with a beer bigger than you planned. Cheers! The beers have been packaged up. I’m happy with the way they tasted (WLP670 was kegged for the East Nashville Beer Festival and the Saison de Lente I C&C in 750ml bottles). With respect to the greater attenuation from the brett, does it make sense to reduce the simple sugars and/or mash at a higher temp than you would normally do for a Saison? 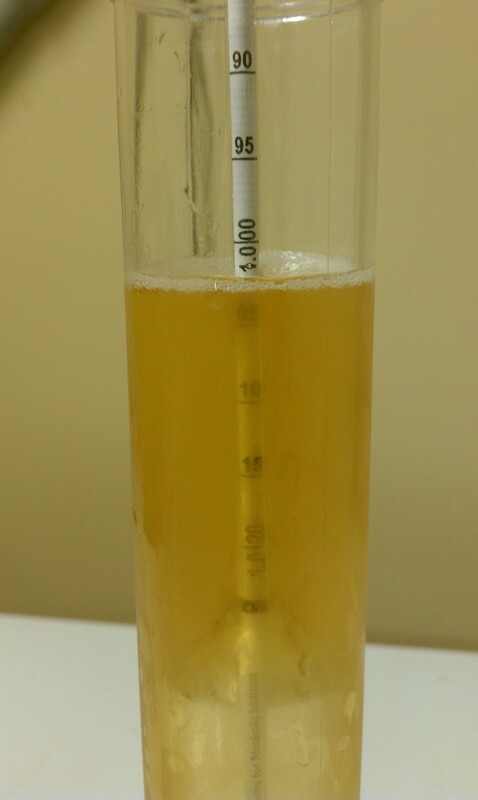 My regular saison (made with wyeast 3711) finishes at like 1.005 anyway since I mash low and add a good amount of sugar. What do you think? Yeah I think you could do either of those or possibly add some malt dextrin or a dextrin malt like Cara-Pils. It would certainly slow down the Brett part of the fermentation and make the brett work a bit harder which could make for some nice flavors too. Personally I love how dry and crisp this style gets so I’m a big fan of the low gravities 1.006 and under. Carbed up to 3-4 volumes mmmmmm! I think that you can easily achieve gravities this low with either 3711, Brett B, or both. Personally I prefer using only one strain per saison. Been using 3711 more lately, but 3724 makes me happy as well. As to the Brett, mixing strains in 100% Brett fermentations can produce very interesting results. Did a beer a while back where I pitched both Brett B and C. Produced a funky beer with a wonderful tropical fruit aroma. That said, I tend to use either Saccharomyces strains or Brettanomyces strains, but not both in the same beer. Just my preference. In the saison realm, I don’t think it makes much sense to pitch both as the saison strains are just as attenuative as the Brett strains are. Either way, great results can be had. Anxious to hear about how these two beer differ. My go to Saison strain is Wyeast 3726 Farmhouse Ale. I love everything that yeast gives off. Ive used the 3711 a few times too. I’m just a big fan of 3726…which is what I have fermenting the other 10 gallons right now. I did a trio of 100% Brett ferments a few brew sessions ago. Four 6 gallon Carboys each got its own solo pitch: Brett C, Brett B, Brett L and Antwerp Ale. They are still chugging along, its interesting to see the different fermentations happening. What was your final gravity on you Brett ferments? Brett B & L beers will usually get down to around 1.004 or so, but I’ve had a few hit 1.000. Brett C gives me results much like a Saccharomyces strain (I just think of it as a funky Chico), so it just depends on how big the beer is in which it is pitched. Smaller beers get into the single digits. Bigger ones may stay in the 20s or 30s. The American Farmhouse is great, plus it saves you from buying 2 vials! I did the same thing about a month ago. I had planned on a split batch Saison, half on ECY03 Saison Brett, and WLP670 -American Farmhouse…when brew day came around I couldn’t find my vial of WLP670 so instead I used ECY02 Flanders blend for 5 gallons. I’m glad to hear that WLP670 will be year round! I guess I have to brew a Saison now. My question is this. How long will you let these beer sit in primary? Will you transfer to secondary, bottle, or age in primary? 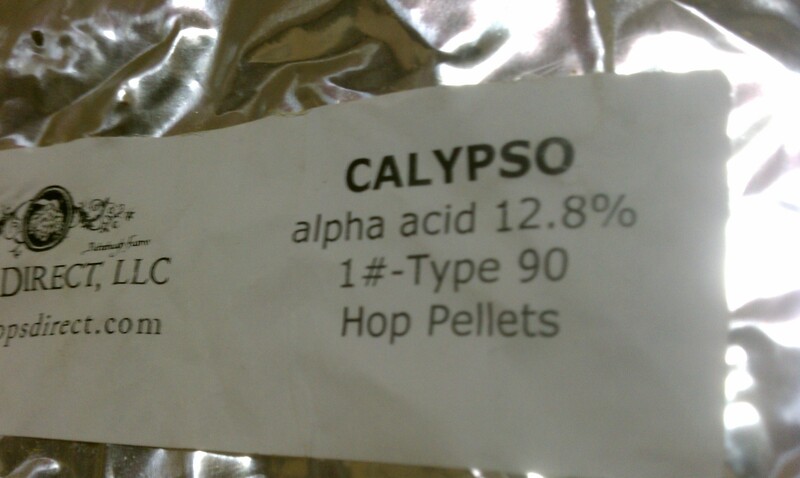 I hope to do a Saison with the ECY blend next year. I’m sure its an awesome blend! My general rule with Brett (and this is just what works with my setup) is to let it sit a minimum of 3 months, but its recipe dependent. This time the beer will only get around 3 months until it needs to be at the festival. I pulled a sample this morning on both of them. The 670 is down to 1.010 the Bruery is down to 1.006. I’m picking up some (very small amount) Brett in the 670 ( more than the Bruery one) I’ll let it go in the primary until it’s crashed and fined then kegged. I don’t do many secondary transfers unless I’m doing a fruit lambic so I can rack onto the fruit. I decided to give this beer a shot. It’ll be my first time using brett. I was unable to find WLP670, so I decided to just use Wyeast’s 3726 Farmhouse Ale yeast. I also bought a pack of brett. B. Should I pitch the 3726 and the Brett B. during primary or should I wait until secondary to pitch the brett? Assuming both are fresh or you have made a starter with both. It depends on how much Brett you like. If you like a big amount of Brett you can pitch both at the beginning, if you like more of an undertone compliment then you could pitch 4-5 days after the 3726 starts to ferment, if you want it subtle you can pitch the Brett when you secondary or bottle. But it may take a long time to get anything out of that last option, especially if the 3726 takes it down to a low gravity. I think all 3 are good options and I enjoy beers that use any of those pitch times. My tastes right now really like the pitch both at the beginning of fermentation. Your IBUs seem a bit low. Any reason for that? During the chilling process on my system it will pick up another 1-2 IBUS. For my tastes the “peppery”/”spiciness” of the Saison yeast, plus the Brett, the hyper attenuation of those 2 combined and the gypsum I use make the beer a bit “rough” if I go too high. I don’t like alot of bitterness when I use Brett during a primary ferment. I cant find Calypso. Got a good sub? Great site here Brandon — inspirational and helpful to the first time sour brewer. Last weekend I brewed a saison with citra and peppercorns, using this American Farmhouse Blend. This is my first funky beer and I’m excited to see how it turns out. I wanted to know if I can harvest and reuse the yeast for another beer — maybe an big “specialty” version of a saison? I’ve done a bit of yeast rinsing/reusing with non-brett strains, but wonder if the balance of sacc/brett in the Am Farmhouse Blend would be totally off after a vigorous primary fermentation. Also, when you say you pitched the dregs from the Bruery Saison de Lente, did you do a starter and build them up, or just pitch from the bottle? Timely post…I was just working on new post for the website about a Brett/Citra beer when I saw this come through. I think you will like the Farmhouse Blend, its an easy one to use. Yes you certainly can re-use the 670 again, it will probably perform slightly different than the first pitch you have going now. I suspect a quicker ferment and probably a bit more Brett character. I doubt the blend wouuld be totally off, but part of it will depend on how long the yeast cake sits in the fermenter and how quickly the sacc cells die. This summer I sent a slug of 670 to Mike who does the mad fermentationist website, according to him it took off just fine. Yes on those dregs I did step them up on a stirplate. Check the post again where the picture of the bottle is and you will see my step up procedure. Some people do the first step (50 or 100ml of wort) in the bottle, I usually just dump the dregs into the flask. Thanks for reading! I’d love to try your beer sometime! Question: If I’ve bottled a lacto beer in my bottling bucket, will I get lacto in my saison? Any helpful hints on how to not cross-contaminate? Matt that’s one of those topics that have people on both sides, albeit more in the camp I’m in. I’m in the camp of having a separate set of soft equipment (tubing, bottling bucket, bottling wand etc)… In a few of my interviews (and the one I’ll be posting soon) the professional brewers have said a different set of brett and sour equipment is one of their tips to being a successful brewer. Will you X-contaminate? Maybe…maybe not. Remember lacto can be killed with star san, iodophor, bleach, whatever you typically use to sanitize. It’s a gamble and not one I take. At my LHBS shop (Rebel Brewer) a bottling bucket is $12.95, Spring tip bottle filler is $2.50, the tubing about $1.00 and racking cane (I use the auto siphon) for $8.75. Investing about $25 is cheaper than losing an entire batch. I see! I knew that Star San wouldn’t kill Brett, so I just assumed that it wouldn’t kill lacto either. Another question: Do you have recommendations for bottling? This will be the first brett beer I’ve bottled and I don’t want to end up with a bunch of bottle bombs in the basement. I know that brett will metabolize sugars that sach won’t, so I’ll probably need to use less priming sugar. I’ll be priming with DME. That said, I use separate soft equipment as well, but I think there is a lot of unsubstantiated mythology surrounding brett. ^^^’Tis true on all accounts.